As a security company, cash flow is always a top concern. Whether it is the number of moderately delinquent accounts or the number of accounts that are more than reluctant to stay current, getting paid on time is probably one of the most frustrating aspects of running a business. With the tight margins most security companies have, those delinquent accounts can easily cause the business some serious problems. Here are some advanced tips to help you keep your accounts current. Ask your customer, “How would you like to pay for that?” The more options you can offer, the more likely you will get paid in a timely manner. Consider offering various methods of payment, payment timing, and flexibility of payments such as autopay. Any extra steps that land on the customer is likely to slow down the payment process. Remember that once you mail an invoice it can go through numerous steps before it actually reaches the bill payer’s hands. It must go from the mailbox and get read. The person must take action by getting an envelope and stamp and get it back to the mailbox for delivery. This can take many days and provides many opportunities for the invoice to all through the cracks. A faster, easier alternative is electronic invoicing. By using simple automated payment services (such as ItsPayd), you save time and money. These systems send automated email and text payment reminders so that fewer accounts become delinquent and delinquent accounts quickly get paid to date. Automated services eliminate the need for and cost of in-house collection staff. There will always be the customers that need a bit more encouragement. 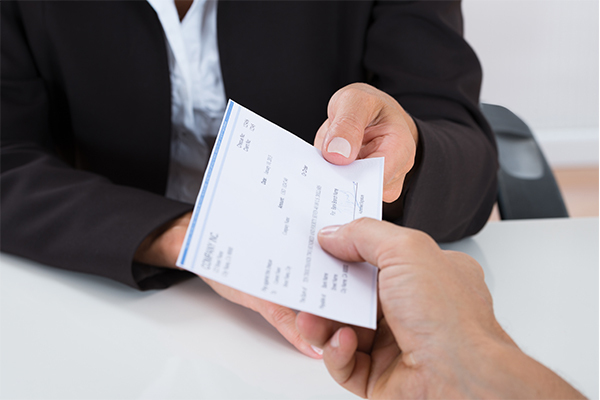 One way to provide that and improve customer relations is by offering a reward for timely payments.